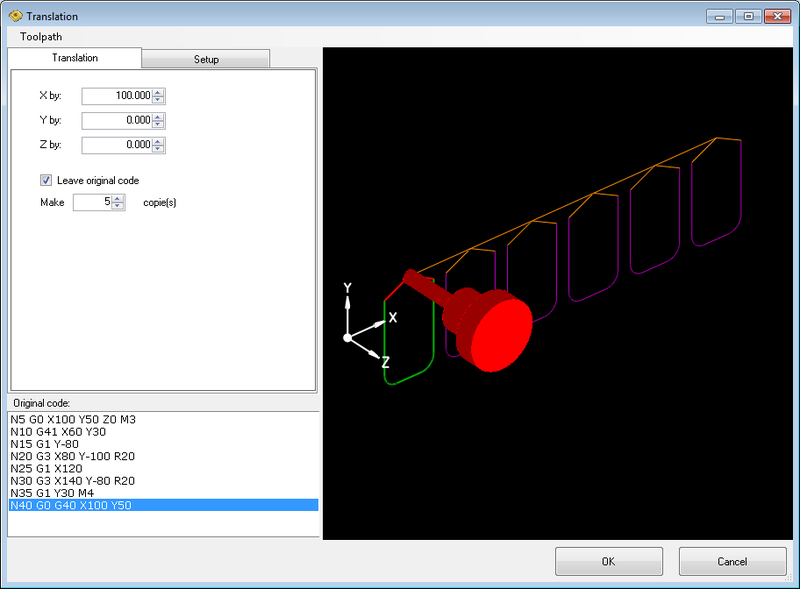 Use this option to translate selected XYZ code along X, Y and Z axis. Select part of code you want to translate and start this dialog. Enter value(s) for X, Y and Z movement. You can leave original code and generate several translated copies of the path.